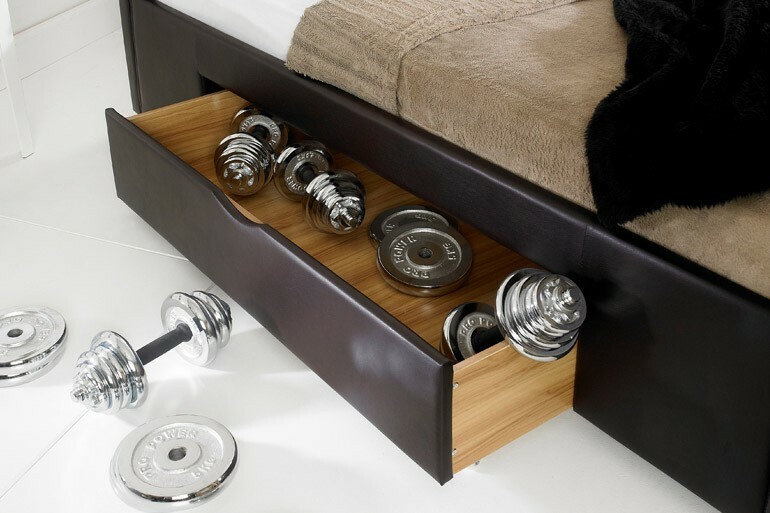 This fantastic 2 drawer storage bed is very durable and robust. Its the perfect centrepiece in any bedroom, with its ample storage it allowsyou to keep your bedroom tidy and make better use of the space in your room. 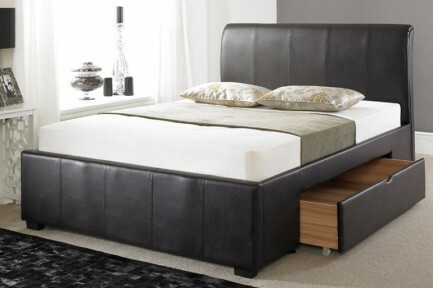 The frame has a straight headboard and low footend making it a must in any modern bedroom. this bed is not only functional but very stylish and elegant. The bed is made of faux leather also features a sprung slatted base which will provide ventilation as well as a boarded base.